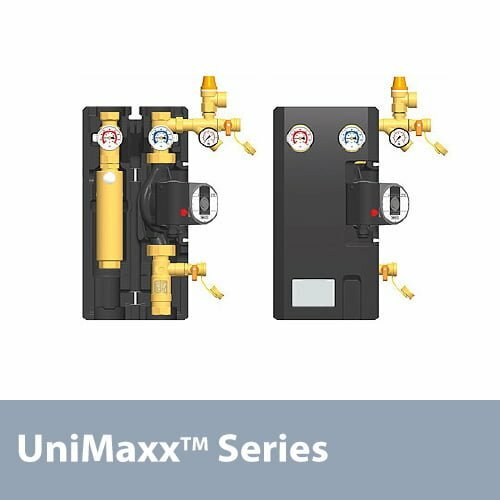 Our UniMaxx solar pump station increases solar hot water system installation simplicity and efficiency while decreasing install time and the possibility for errors and need for future troubleshooting. 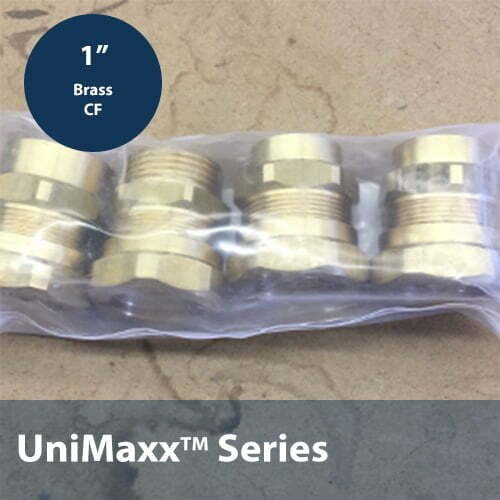 By combining the circulator pump, main piping connections, controller and T&P gauges, the UniMaxx solar pump station becomes the heart and brain of your solar hot water system. This model is perfect for DIY and professional solar hot water installations alike, and requires basic plumbing and electrical skills to install properly and quickly. Requires you to select an adapter kit (3/4″ or 1″ adapters, which adapt pump station to US copper pipe via compression fitting).